After breakfast, we will take the road to the South. 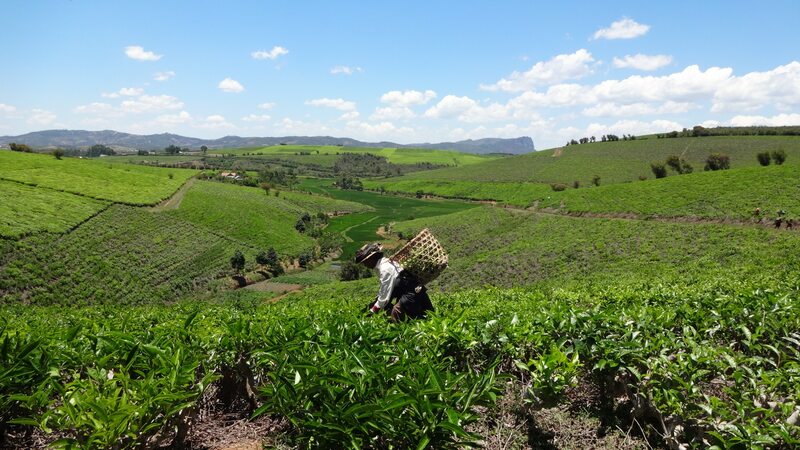 Discover the rural world of the Highlands of Madagascar, the architecture of its traditional houses, its rice fields and its own cultivating techniques … Stop at Ambatolampy. This village located at the foot of the Ankaratra massif is famous for its workshops manufacturing utensils exclusively made of aluminum. Then drive to Antsirabe. 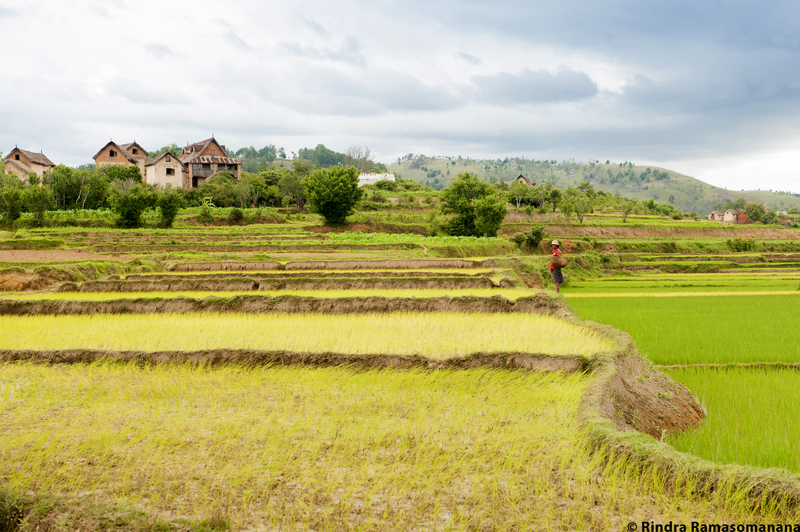 Whether on foot or by mountain bike, you will have the opportunity to discover the fascinating landscapes that characterize the Highlands: the hills, the villages set on their sides, the fields, the rice fields that extend as far as the eye can see … This tour will lead to beautiful encounters with peasants and artisans. Mountain bike option: depending on your physical condition, 15km to 30 km. 4km of maximum climb on both routes. 11 km of descent on a 30km trail. Rolling laterite trail. 2h to 4h, medium level, on a paved road and a laterite trail. Necessary equipment: walking shoes or good sneakers, sun protection items, bottle of water. After breakfast, drive to Ambositra. A multiethnic commercial crossroads where the geniuses of precious woodworking meet. 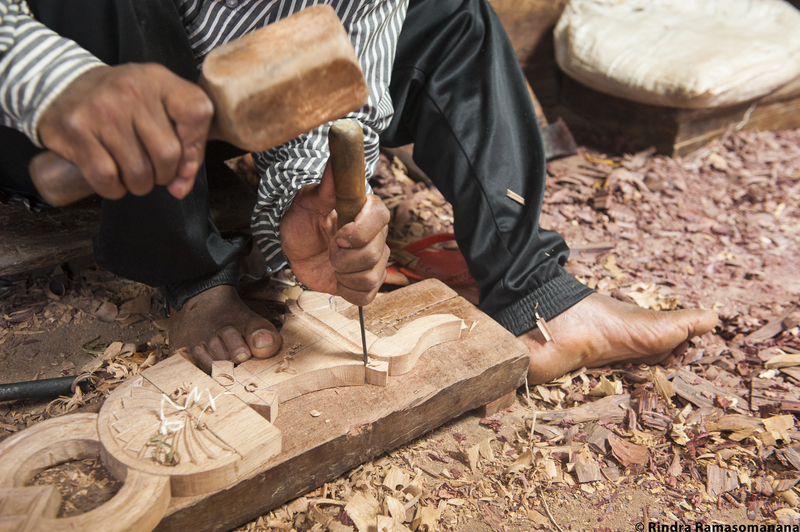 We will stop for a while to discover sculptors and markers in their neighborhoods; skilled and friendly craftsmen who will be happy to welcome us in their home. Walking in the old town of Fianarantsoa, ​​discovering its history. Then, continue through the vineyards of the Betsileo country: head towards Ambalavao, a beautiful farming agglomeration that we will cross on foot. 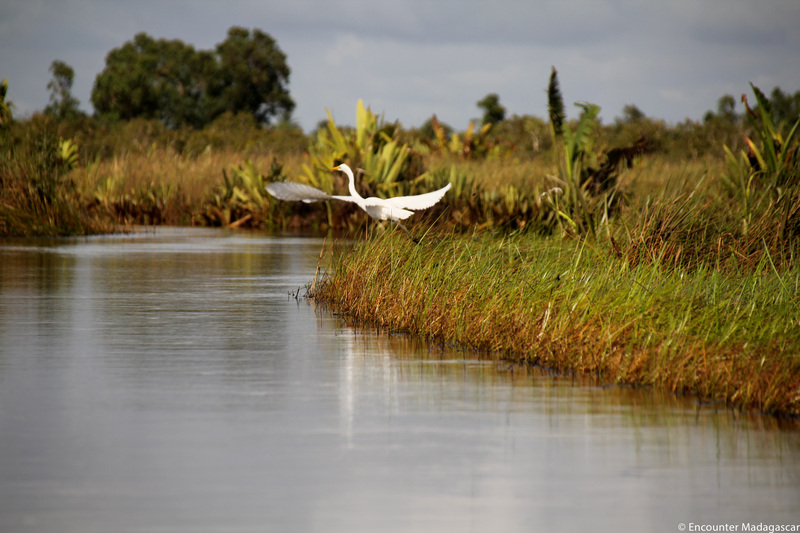 Our next stop will be the nature reserve managed by the village community of Anja. 2h30 walk to see the lemur catta. Then, continue towards a point of view for a magnificent panorama of the valley. 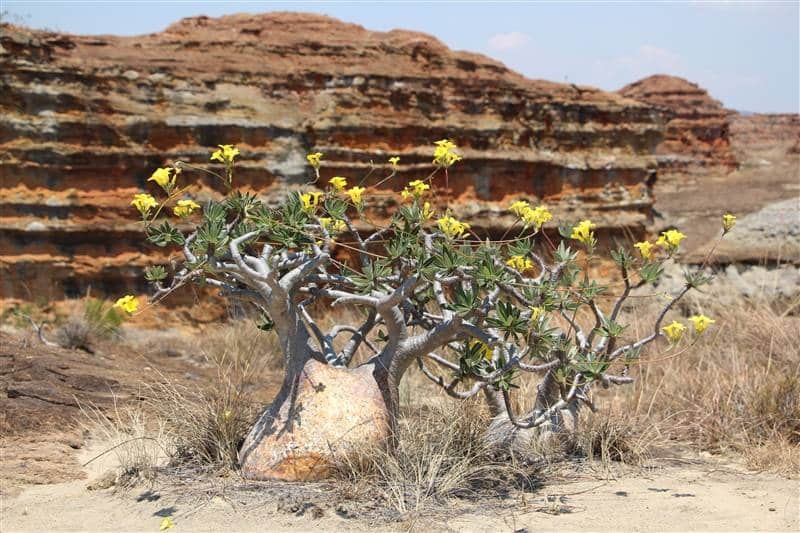 Take the road to Isalo National Park. 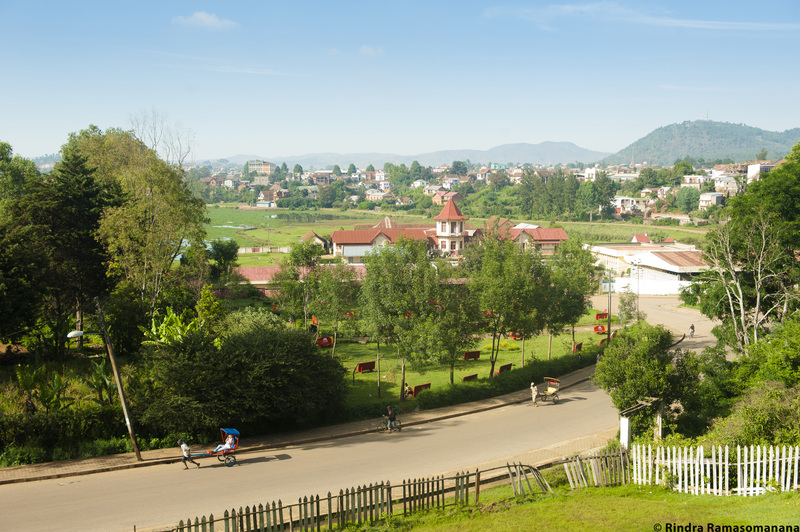 After a quick stop in Fianarantsoa, ​​we continue straight to Sahambavy. Settle into a hotel, by the lake, in a beautiful tea plantation landscape. The only one of that kind in Madagascar. Get to the train station at 8am. It is directly opposite the hotel. Great day with a train journey to the East Coast. With 67 bridges and 47 tunnels, the trail is one of the steepest in the world. 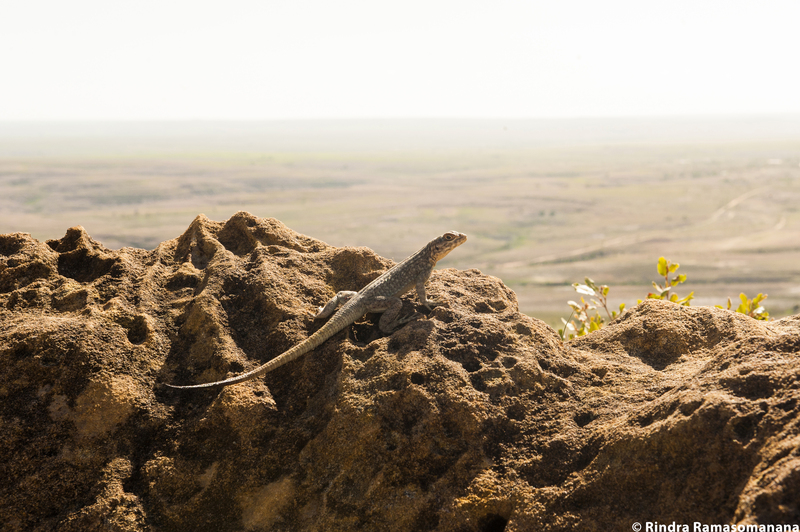 It will allow you to meet, to discover, to exchange with the population and to admire one of the most beautiful landscapes of Madagascar: the descent of the Highlands to the sea. The train is on only on Tuesdays and Saturdays. It is an old train (more than 40 years old), during the journey, we are not safe from a breakdown. Stops in stations are not specified, they are done according to the loadings to be carried out in each station. Attention, traveling first class does not mean “comfort”, it simply means that there will be fewer people with you. If for technical reasons (breakdown, landslide, etc.) this train trip is not possible, we will join Manakara by road. After breakfast, visit the city of Manakara before reaching Mananjary by car. Arrival in Mananjary after about 4-hour drive. Afternoon relaxation. After breakfast, the crew and the kitchen await you on the Vintsy; a motorized barge, with a dining room, a panoramic terrace with sun loungers, a kitchen and toilets on board. Possibility to visit a plantation of spices (pepper, cinnamon, vanilla, clove, etc.) if leaving early in the morning, as this step takes time. Sailing north to reach the village of Ambohitsara. 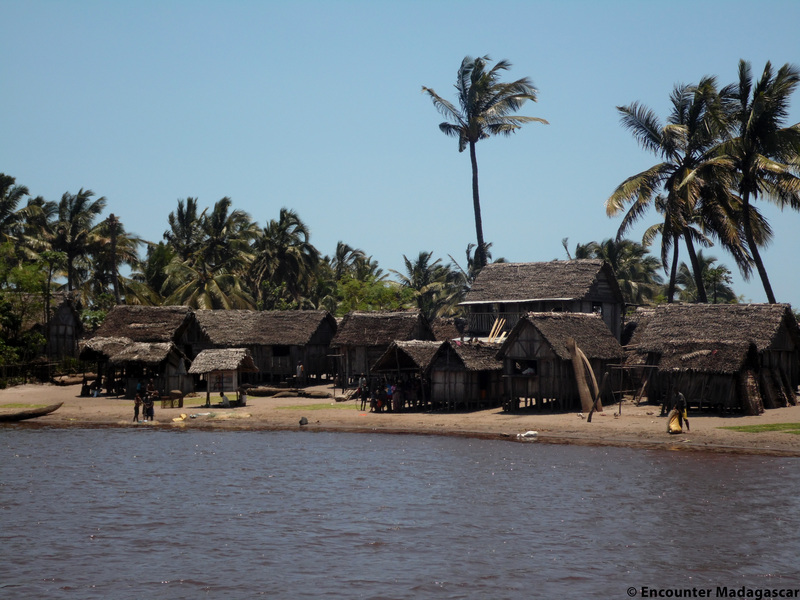 Visit the typical village of the coast, perched on its dune of clear sand, and meet the local people. You will find there a unique sculpture in the shape of an elephant whose origin is controversial. Some believe it is the work of the Arab travelers of the XII; others, on the other hand, think it is the Indians. The cruise will then continue to the village of Ambahy. Visit the CSB2 Health Center, a bush health clinic. This is where you can make useful donations: medicines, clothing, and supplies. A short walk then takes us to the “Pangalanes Jungle Camp”. Each “tent shelter” bungalow consists of a “raty” vegetal roof that allows a good flow of rainwater and a comfortable “safari” tent equipped with two twin beds. Picnic lunch prepared by us. After breakfast, boarding and sailing on the Sakaleona River. Then cross the big lake of Analampotsy. 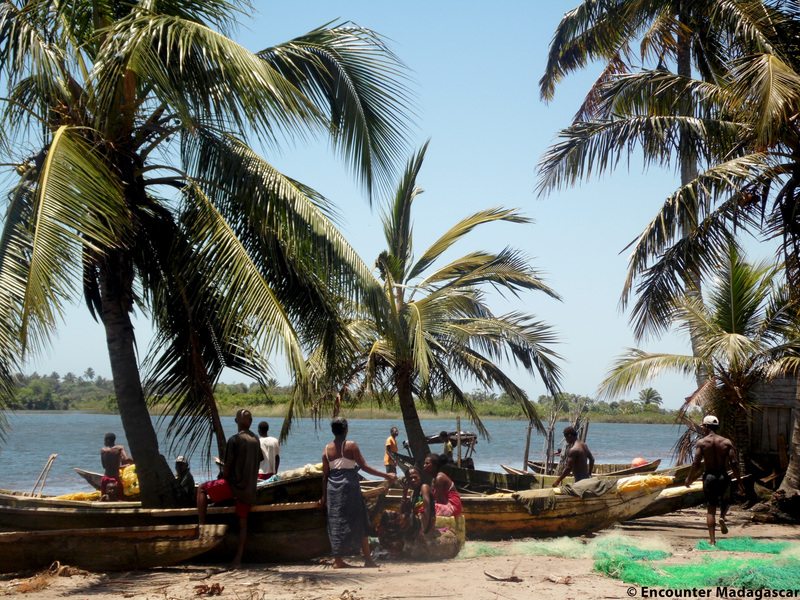 The Canal des Pangalanes is the unique transportation route in this landlocked region, from Mananjary to Mahanoro and up to Tamatave. Stop at Nosy Varika, which we visit to stretch our legs. Picnic lunch prepared by us. The end of this step takes us on a sandy tongue bordered with trees, between the Canal and the Indian Ocean: the wild site of the “Pangalanes Forest Lodge”. At sunset, you will appreciate the lounge-bar terrace, under the pandanus, overlooking the ocean. The setting is exceptional and the conservation program initiated by the hotel to preserve the forest from the human impact is supported and monitored by the ministry. After breakfast at the ecolodge, we will go hiking to discover the littoral forest. Bird lovers can watch bee-eaters, flycatchers, parrots, raptors and kingfishers which dwell in the area around the Canal. 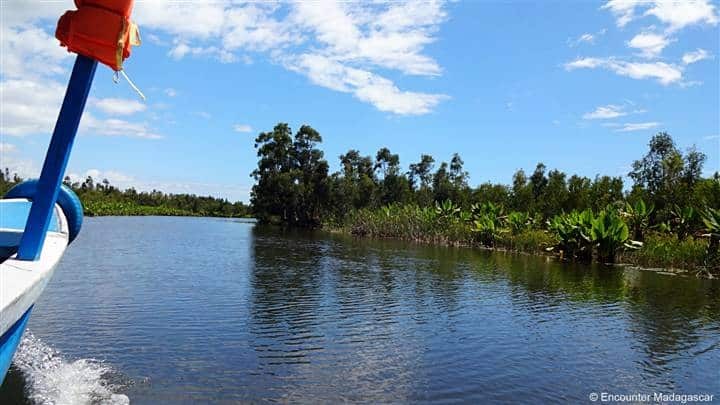 The botanists will appreciate the “pandanus”, “ravenales” and “alocasias” that border the banks, not to mention the water hyacinths and water lilies. The crossing of the mouth of the Mangoro River is a moment of emotion, because the currents are strong for the fragile canoes. The navigation ends with the crossing of a huge marsh with lake dwellings. We reach the Mahanoro river port in the early afternoon. Picnic lunch prepared by us. Departure early in the morning towards Andasibe. Stop at Antsampanana, famous for its exotic fruit stalls. You will find different kinds of bananas, lychees, custard apples and even soursops. 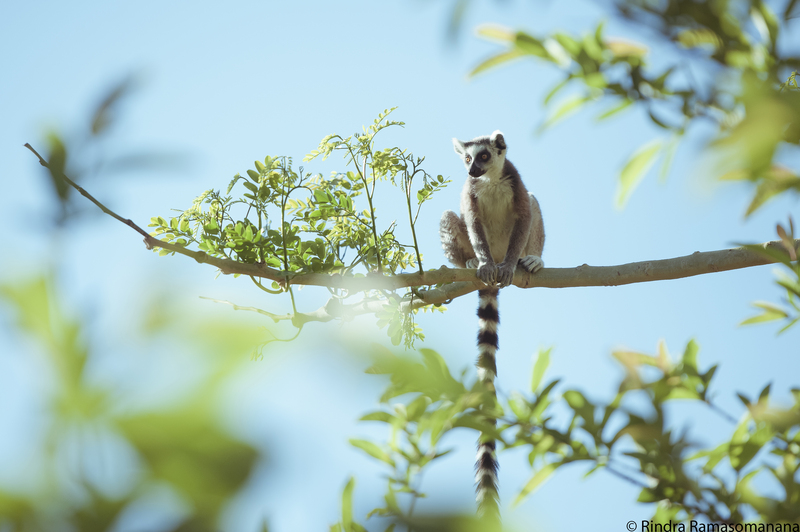 Visit of a private park in the afternoon: an island with lemurs. Here, there are 4 species of lemurs. 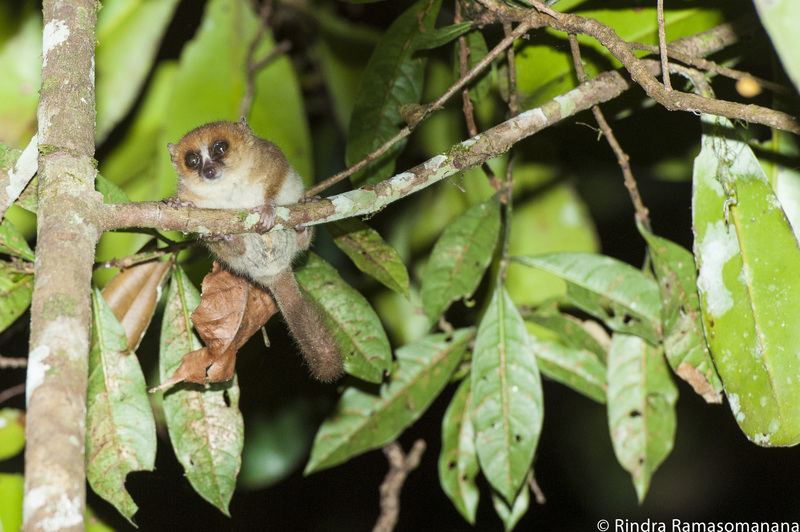 We will then go on a nocturnal walk where we will observe several species of lemurs, including the smallest species of lemur ever, but also some species of nocturnal chameleons. Morning visit at the Analamazaotra reserve. 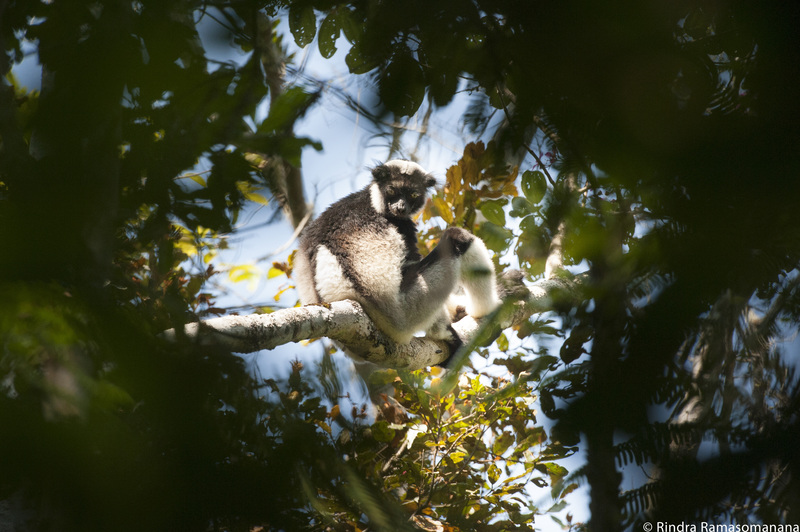 A magnificent rain forest that is populated by lemurs, including the largest lemur: the Indri Indri. There are also ferns and orchids, as well as several species of chameleons. 3-hour stroll without any special difficulty. In the afternoon, return to the capital. Arrival in the late afternoon. A journey that combines a complete discovery of the National Road 7’s wonders and a sailing on the Canal des Pangalanes for a few days. 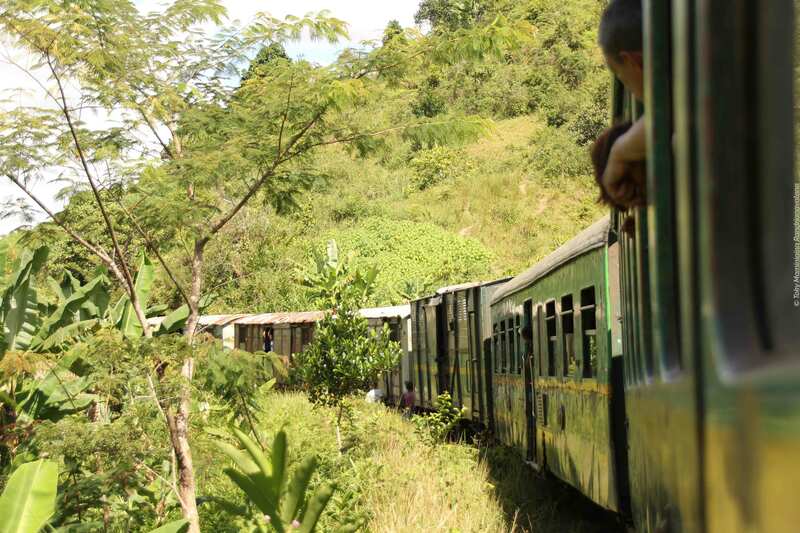 After hiking and trekking around Antsirabe, in the Tsaranoro valley and in Isalo National Park, followed by a nice train journey, we will appreciate the green and unusual landscape of the Canal des Pangalanes: a tropical setting, characterized by aromatic plantations, a tropical orchard and coastal forests. Our tour will also take us to authentic and isolated villages, where we will take the time to meet and interact with the local population. Very often, we will follow the sea, since a narrow sand bank connects the Canal des Pangalanes to the Indian Ocean. The passages in front of the mouths offer a stunning landscape. Without any domestic flights, we will return to the capital by the eastern route, making a stopover at Andasibe National Park. Possible seaside extension, towards Sainte Marie or Nosy Be. A journey that combines a complete discovery of the National Road 7’s wonders and a sailing on the Canal des Pangalanes for a few days.